Rudolf Giuliani is operatic, in the worst sense of the word -- overdramatic, pompous, self-important and full of emotional extremes. In everything he does, he stirs up trouble, picks useless fights, and flaunts his power in a cruel and petty way. His presidential campaign has been amazingly effective at hiding this side of his personality -- but even a quick look at his life will tell you that the quiet won't last long. BACK TO SKELETON CLOSET -- If you have any tips, as always please email us. "Rudy has no willpower when it comes to relationships. This is why it's such an issue." -- anonymous Giuliani friend, in Vanity Fair. -- Undercover police drove his girlfriend (Judith Nathan) around New York, when Guiliani was nowhere near. "She used the PD [police department] as her personal taxi service," according to one former Giuliani staffer. -- Those police drove Judith 130 miles to Pennsylvania to visit her parents. -- Those police drove Judith's FRIENDS around the city, even when SHE wasn't there. -- Guiliani even made 2 police detectives walk Nathan's DOG. Yes, New York's finest, scooping up poop from the mayor's mistress' dog. How pampered is Judith Nathan? Not only does she have a full time hair stylist, when she flies she has a second first-class seat -- for her Louis Vitton purse, which she calls "Baby Louis." At her wedding to Giuliani, she wore a tiara, and a NY police detective went with her to Atlanta to pick up the $20,000 Ceylon-sapphire-and-diamond ring Judith had picked out. All this from a girl who grew up in Hazelton PA, a coal mining town pop. 25,000. A woman who, in 1992, was making $1,200 a month as a part-time receptionist. This scandal didn't come out earlier because the Giuliani administration covered up these expenses, by billing the money to obscure city agencies with no connection to security -- such as the Office of People With Disabilities, the Loft Board, and the Community Assistance Unit. They used some of that money to pre-pay $454,000 on an American Express card, which was used to pay for hotels, meals, and gas on these trips. City auditors questioned the Mayor's office back in 2001, but his staff refused to answer, claiming "security" reasons. The City Comptroller ruled that auditors "were unable to verify that these expenses were for legitimate or necessary purposes." The girlfriend of the current New York mayor, billionare Michael Bloomberg, rides the bus to work and has no security detail at all. Giuliani has always made a big deal about his "security" credentials, and crime in New York City did go down a lot during his tenure as mayor. (Though many people think the credit should go to Bejamin Bratton, the brilliant Police Commissioner that Guiliani hired -- and then fired after he started claiming credit for the successes.) But it is also becoming clear that Rudy, the son and nephew of mob-connected men, has some issues about security. He likes to surround himself with excessive numbers of security guards and police. Giuliani prizes loyalty, and he has stayed loyal to a number of friends who are flat out criminals. Even after he knows about their misdeeds and allegations (or convictions!) of crimes, Giuliani socializes with them, hires them at his security firm, or has them raise money for his campaigns. The most notorious is Bernard Kerik, Giuliani's former chauffer, who pled guilty to two misdemeanors for receiving $165,000 in renovations from a company accused of mob ties. (He lobbied city officials to approve them anyway.] Recently, Kerik was indicted on 16 counts for tax evasion, fraud, lying to federal investigators, and tampering with witnesses. Giuliani appointed him as police commissioner (for only 16 months), hired him for $500,000 at his security company, convinced President Bush to nominate Kerik as Director of Homeland Security (before Kerik withdrew his nomination in disgrace), and continues to defend him. To this day, Giuliani will not rule out pardoning Kerik if Rudy is elected presidet. 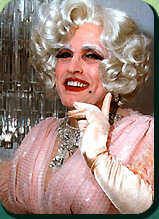 Kerik shares one trait with Rudy -- using taxpayer resources for his extramarital affairs. In 2001, Kerik used an apartment donated for 9/11 rescue workers as a love nest for his affair with publisher Judith Regan. (Kerik has been married since 1998.) In fact, Kerik used Giuiliani Partners as the mail drop for the $75,000 payment at the heart of one of the tax fraud charges he was indicted for in Nov. 2007. But Kerik's not the only one. A grand jury report concluded that priest Alan Placa, a longtime friend of Giuliani, molested several boys and helped cover up molestations by other priests, but he could not be prosecuted because the statute of limitations had run out. Giuliani -- who had the priest preside over his second wedding -- continues to defend him, and also employs the priest to this day at his security company. Wait -- there's more! A major union supporter of Giuliani in his mayoral days went to prison in 2000 for stealing $2 million from union members. Bob Asher, convicted of bribery in 1986, recently (Nov. 26, 2007) hosted a $2,300 per person fundraiser for Giuliani. Rudy's South Carolina campaign chair resigned in June of 2007 after he was indicted for distribution of cocaine. Etc. etc. etc. Any politician can have one crooked supporter or friend. But Giuliana has lots of them, and he remains loyal to them -- and hires them -- long after he knows all about their alleged crimes and convictions. Giuliani's behavior has led him to three marriages and 20 years of rumors about his affairs. Even back in 1993, his mayoral campaign commissioned its own study of his vulnerabilities, which emphasized his "raucous social life" during his marriage, and said that his behavior raised "questions about a weirdness factor" in his personal life. After divorcing his second cousin, Rudy married Donna Hanover, a TV new anchor in New York. In 1996, he started appearing in public frequently with his press secretary, Cristyne Lategano (who was 28, and the youngest NYC press secretary ever, when Giuliani appointed her.) Vanity Fair magazine reported that they were dating. Hanover then changed back to her maiden name on tax returns, stopped appearing with Guiliani in public, and barred Cristyne from any of her public events. In Spring of 1999, Giuliani stopped appearing with Lategano and started dating Judith Nathan, an ambitious divorcee, while still married. Giuliani was even more blatant about his affair with Nathan. She accompanied him to dozens of public events -- town-hall meetings, the opera, fundraisers, and the St. Patrick's Day parade, marching alongside him just as the mayor's wife always has. She even joined him at the huge Y2K Millenium Celebration in Times Square. He sang to her in Italian in New York restaurants, and kept what one newspaper called (at the time) "a love nest" in the St. Regis Hotel. Rudy finally started divorce proceedings against Hanover in 2000 and married Judith Nathan in 2003. For a guy who made his name attacking the mob, Rudy Giuliani has a surprising number of mob ties himself, including his father Harold -- a convicted felon who, according to the book "Rudy! An Investigative Biography", was involved (with Rudy's uncle Leo) in a shoot-out with a mob competitor. The book charges that Harold's best friend Lou Carbonetti, Jr. was a mobbed-up Democratic Party leader with connections to the boxing world. Harold Guiliani did prison time for robbery and served as the collector for Giuiliani's uncle Leo. And yes, Rudy Giuliani is a fan of the Sopranos, but that doesn't prove NOTHING. Giuliani married his second cousin, Regina Perrugi. After 14 years, he divorced her, but got an official "annulment" -- a decree from the Catholic Church that the marriage never really happened (for 14 years!! ), thus allowing remarriage in the Church. It's very hard to describe exactly how mean and nasty Giuliani is without using swear words or salty language. A couple of examples from his second marriage should do the trick. Imagine now, Giuliani (as of about 1999) is the most famous person in New Yor City, and his wife is a TV anchorwoman, also very famous. He has been having a very public affair with his 28 year old press secretary for years, not really even trying to hide it as they go out to dinner in public. That affair ends and he takes up with a new woman. His wife goes about her business with a considerable amount of class -- yes, she starts using her maiden name again, and refuses to appear at public events with Rudy, but that's about it. So Rudy ups the ante. He knows his wife loved their long walks together, a favorite romantic memory. So on MOTHER'S DAY, he arranges a long walk with his new girlfriend -- and notifies all of the New York tabloids, who of course cover it in excruciating detail. Think about this -- his wife is a NEWSCASTER, so all day long, her workplace is filled with video of Rudy and his mistress, and his WIFE is supposed to announce it on the news. On Mother's Day. I have no idea if she actually did. But I think we can all agree, what a PRICK. This wasn't even enough. He brought his mistress into the Mayor's mansion while his wife and children was still living there, forcing her to go to court to stop him, and had his lawyer savagely attack Hanover. Later, when he finally was man enough to seek a divorce, he announced it on live TV -- without telling his wife or kids first.